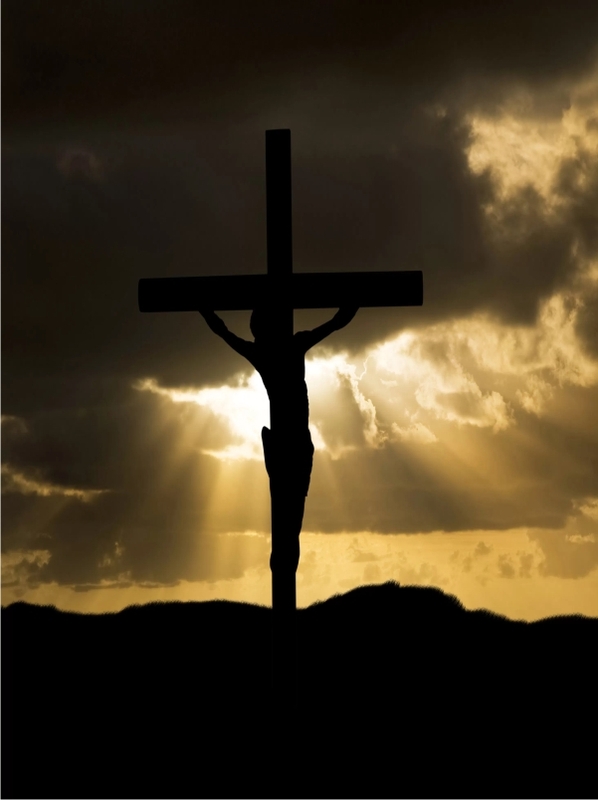 Good Friday, also called Holy Friday or Great Friday, is the most somber day of the entire Church calendar. On this day many Catholics cover their mirrors, extinguish candles, and refrain from celebratory activities. All of these help to foster a sense of mourning and prayer. Extinguishing candles and refraining from celebration makes sense in the esthetic of being somber but why cover mirrors? Covering mirrors when someone dies is a carryover from Jewish practices of shiva, their time of mourning. Mirrors are covered because prayer services take place and no one faces a mirror during prayer. A second reason is to emphasize that a mourner avoids vanity during the shiva, focusing on their loved one rather than themselves during this period. A mourner is permitted, however, to look into a mirror to ensure their hair is in order, etc. Jesus Christ hung on the cross from the hours of noon until 3:00. As a result, this time is often referred to as three hours of agony. These are the three most sacred hours of the day. It is a good idea to celebrate these three hours with prayer. Some suggestions are reading the Gospel narratives of the Passion, making the Stations of the Cross by yourself, praying the Sorrowful Mysteries of the Rosary, praying the Litany of the Passion, etc. Create an environment of mourning by drawing the curtains and silencing phones, televisions and radios. Quieting your environment and yourself allows you to meditate on the passion and death of Christ. If possible, come to the church and pray in front of the empty tabernacle, join in the Divine Mercy Chaplet at 2:45 and celebrate the Mass of the Pre-sanctified at 3:00. Remember; do not genuflect because the tabernacle is empty. A reverent bow to the altar is all that is necessary. From the very earliest Christian times, some have the custom of fasting and vigil from 3PM on Good Friday to Easter Morning, the 40 hours our Lord was in the tomb. The Jewish custom is to count any part of one day as “a day” so three days is the total. On the morning of Good Friday hot cross buns are traditionally eaten for breakfast and are about the only luxury permitted in this time of mourning. Legend says that a priest at St. Alban's Abbey in Hertfordshire gave these to the poor on Good Friday beginning in A.D. 1361, and the tradition was born. Perhaps you would like to try hot cross buns in your home as part of your Good Friday fasting requirement. If you have come to Holy Thursday and Good Friday, it is a great experience to attend the Easter Vigil, the holiest night of the year. Come to the vigil and celebrate the resurrection of our Lord with the holy fire and the Easter candle and the singing of the Exultet. Join us as we celebrate baptisms and confirmations of those who have been preparing to enter into the sacraments for the first time.